Scott Perry, director of oil & gas management with Pennsylvania’s Department of Environmental Protection (DEP) presents on the Marcellus Shale at Misericordia University. The safe and steady development of clean-burning natural gas in Pennsylvania’s portion of the Marcellus Shale has the potential to create an additional 212,000 new jobs over the next 10 years on top of the thousands already being generated all across the Commonwealth. 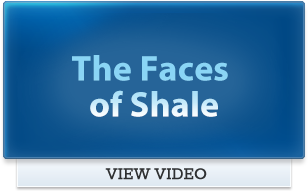 Fully developed, the Marcellus Shale has the potential to be the second largest natural gas field in the world, behind only the South Pars/Asalouyeh field shared between the nations of Iran and Qatar. 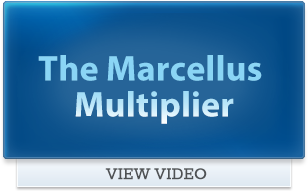 Converted to British Thermal Units (BTUs), the natural gas found in the Marcellus could be equivalent to the energy content of 87 billion barrels of oil, enough to meet the demand of the entire world for nearly three years. SCRANTON – The president of the Marcellus Shale Coalition on Monday told regional community leaders that development of the Marcellus Shale not only will help the economy on a large scale, but it’s just as important to recognize the effects on the area business owners and the area job market. The state’s growing natural gas industry offers expanding industrial and employment opportunities in the region, the head of an industry trade group said Thursday.